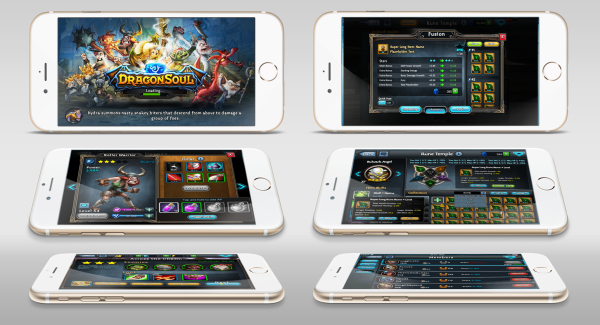 DragonSoul is a Mobile RPG where your aim is to take down the evil dragon that has stolen the soul of your fellow fighters. 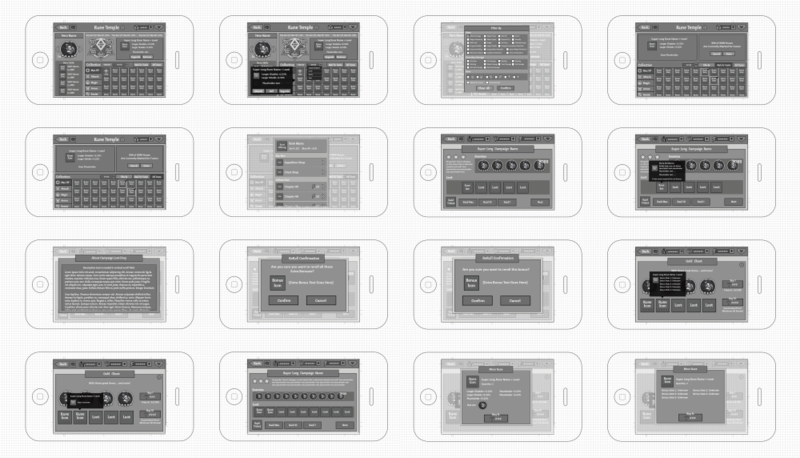 My role: UI/UX design, look & feel improvement, feature development, asset management & scheduling. 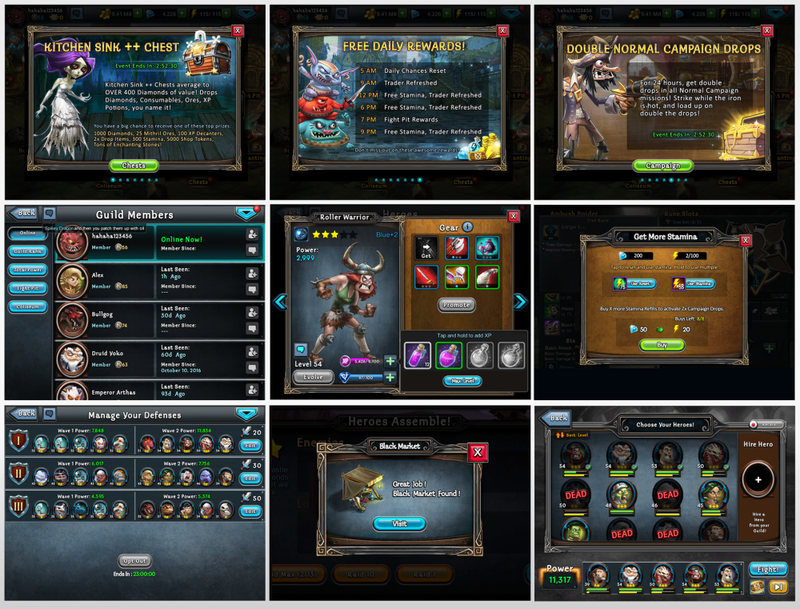 Here are some sample screen wireframes that I worked on when developing new features for DS. Besides UI/UX design, I'm also responsible for creating in-game icons as well as doing outsource coordination for UI-related assets. Below are the difficulty level icons and hero rarity frames. When it comes to outsourcing, my responsibility is to provide creative direction/feedback to vendors, manage assets, and track down schedule to make sure assets are ready for implementation on time. 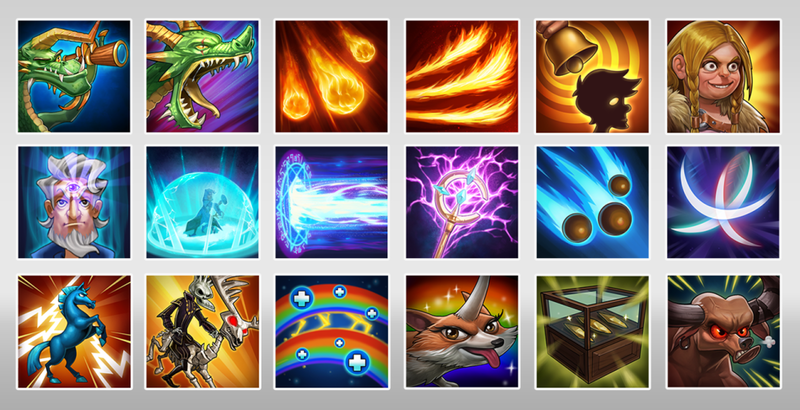 Below are the skill icons I worked on with our awesome outsource vendors.